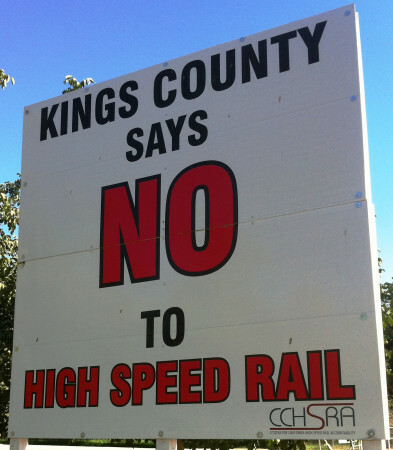 Citizens for California High Speed Rail Accountability (CCHSRA) has been a leader in making the California High-Speed Rail Authority accountable to the public for its planning, spending, and actions. Organizing our community to speak as one voice about our concerns and circumvent the California High-Speed Rail Authority’s efforts to divide and conquer us one-by-one. Providing encouragement and support for members of Congress, state legislators, and local elected officials who have tried to make the California High-Speed Rail Authority accountable for its actions and have been politically attacked in response. Building alliances with other organizations and individuals in California who realized as we did that the High-Speed Rail Authority and its representatives don’t want full transparency or accountability to the public for their activities. Helping to expose the failures of the California High-Speed Rail Authority to the news media and the public, particularly through public comments at Authority board meetings and press events in the Central Valley. Serving as an information clearinghouse about California High-Speed Rail through tools such as this web site, so that the public doesn’t have to depend on the taxpayer-funded public relations programs of the High-Speed Rail Authority. Extracting California High-Speed Rail from political and ideological manipulation and refocusing the project as a reliable, cost-effective, and reasonably fast option for transportation within the State of California.